Silverlake Axis creates technologies and builds sustainable and dynamic environments to enable the Digital Economy. What sets Silverlake Axis apart is the foundation for our computing principles, which are grounded on mathematical models. Founded in 1989, Silverlake Axis has built an impeccable track record of successful core banking implementations. After years of successes across the region, Silverlake Axis was listed on Singapore’s Stock Exchange (SGX) SESDAQ in 2003 and moved up to SGX Mainboard in 2011. In less than two decades after its inception, over 40% of the top 20 largest banks in South-East Asia run Silverlake Axis’ core banking solution. Today, Silverlake Axis is the core system platform partner of choice for 3 of the 5 largest ASEAN super regional financial institutions. Silverlake Axis continues to offer innovative Digital Economy Propositions and Enterprise Solutions to its customers in Banking, Insurance, Retail, Payment and Logistics Ecosystems. Silverlake Axis' solutions are delivering operational excellence and enabling business transformations at over 300 organisations. Through recent strategic acquisitions, Silverlake Axis has expanded its digital economy offerings and geographic reach to include Asia, Australia, Central Europe, Middle East and New Zealand. Our acquired subsidiaries include Merimen Group, Cyber Village, QR Retail Automation Group, Symmetric Payments and Integration, Symmetri Group and our associate Finzsoft Solutions Ltd which is listed on the New Zealand Stock Exchange (NZX). Merimen, a 100% owned subsidiary of Silverlake Axis that puts the Group solidly in the InsurTech arena, is a leading Software-as-a-Service (SaaS) provider of Insurance Claims Management and Underwriting platform in the Asia-Pacific region. Cyber Village is a leading provider of internet mobility solutions with a host of award-winning implementations, and the QR Group is a retail enterprise solutions company that enabled SAL to grow into the retail & logistics space. As a Group, Silverlake Axis will continue to leverage upon innovations and digital collaborations to solve industry problems through fresh and exciting business solutions. For more information, please visit www.silverlakeaxis.com. Pure Storage(NYSE: PSTG) helps innovators build a better world with data. Pure's data solutions enable SaaS companies, cloud service providers, and enterprise and public sector customers to deliver real-time, secure data to power their mission-critical production, DevOps, and modern analytics environments in a multi-cloud environment. One of the fastest growing enterprise IT companies in history, Pure Storage enables customers to quickly adopt next-generation technologies, including artificial intelligence and machine learning, to help maximize the value of their data for competitive advantage. And with a certified NPS customer satisfaction score in the top one percent of B2B companies, Pure's ever-expanding list of customers are among the happiest in the world. For more information, please visit www.purestorage.com. For more information, please visit www.schneider-electric.com/sg. For more information, please visit www.kaspersky.com. Kofax is a leading supplier of software and solutions to automate and digitally transform human and information intensive processes across front and back office operations. These can dramatically improve customer engagement, greatly reduce operating costs, mitigate compliance risk and increase competitiveness, growth and profitability. Its broad range of software and solutions can be deployed in the cloud or on premise, and include robotic process automation, business process management, multichannel capture and other critically important capabilities. These provide a rapid return on investment to over 20,000 Kofax customers in financial services, insurance, government, healthcare, supply chain, business process outsourcing and other markets. Kofax delivers its software and solutions through its direct sales and services organization and more than 650 indirect channel partners in more than 60 countries throughout the Americas, EMEA and Asia Pacific. For more information, please visit www.kofax.com. HCL Technologies (HCL) is a leading global technology company that helps global enterprises re–imagine and transform their businesses through Digital technology transformation. HCL operates out of 44 countries and has consolidated revenues of US$ 8.4 billion, for 12 Months ended 31st December, 2018. HCL focuses on providing an integrated portfolio of services underlined by its Mode 1–2–3 growth strategy. Mode 1 encompasses the core services in the areas of Applications, Infrastructure, BPO and Engineering & R&D services, leveraging DRYiCETM Autonomics to transform clients' business and IT landscape, making them 'lean' and 'agile'. Mode 2 focuses on experience–centric and outcome–oriented integrated offerings of Digital & Analytics, IoT WoRKS™, Cloud Native Services and Cybersecurity & GRC services to drive business outcomes and enable enterprise digitalization. Mode 3 strategy is ecosystem–driven, creating innovative IP–partnerships to build products and platforms business. For more information, please visit www.hcltech.com. ServiceNow makes work, work better for people. Our cloud-based platform and products streamline and simplify how work gets done. For more information, please visit www.servicenow.com. A global leader in consulting, technology services and digital transformation, Capgemini is at the forefront of innovation to address the entire breadth of clients’ opportunities in the evolving world of cloud, digital and platforms. Building on its strong 50-year heritage and deep industry-specific expertise, Capgemini enables organizations to realize their business ambitions through an array of services from strategy to operations. Capgemini is driven by the conviction that the business value of technology comes from and through people. It is a multicultural company of 200,000 team members in over 40 countries. The Group reported 2016 global revenues of EUR 12.5 billion. For more information, please visit www.capgemini.com. Domo is the operating system for business, digitally connecting all your data, your systems and your people, empowering them to collaborate better, make better decisions and be more efficient, right from their phones. Domo works with many of the world’s leading and most progressive brands across multiple industries including retail, media and entertainment, manufacturing, finance and more. You can also follow Domo on Twitter, Facebook and LinkedIn. For more information, please visit www.domo.com. Domo is a registered trademark of Domo, Inc.
OneConnect Financial Technology, a fintech subsidiary of Ping An Group, is a leading fintech SaaS provider of advanced technology-enabled business solutions to small and medium-sized financial institutions. Its solutions are based on world-class technologies including AI, blockchain, cloud platform, and biometrics identification. 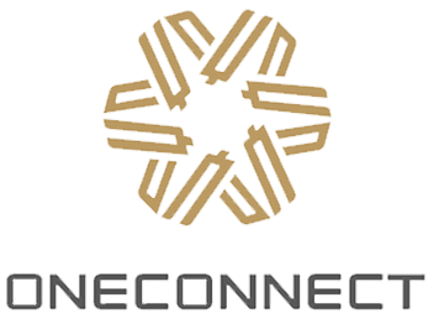 Currently, OneConnect has products in four business disciplines including Digital Banking Solutions, Digital Insurance Solutions and SaaS Cloud Platform, covering sales, product development, risk management, operations and technology. These solutions have a coverage of all major financial industries as well as front, middle and back office functions. For more information, please visit www.oneconnectft.com.sg. Temenos AG (SIX: TEMN), headquartered in Geneva, is the world’s leader in banking software, partnering with banks and other financial institutions to transform their businesses and stay ahead of a changing marketplace. Over 3,000 firms across the globe, including 41 of the top 50 banks, rely on Temenos to process the daily transactions of more than 500 million banking customers. Temenos customers are proven to be more profitable than their peers: over a seven-year period, they enjoyed on average a 31% higher return on assets, a 36% higher return on equity and an 8.6 percentage point lower cost/income ratio than banks running legacy applications. For more information, please visit www.temenos.com. Aspire Systems works with some of the world’s most innovative banking enterprises and fintechs, helping them leverage technology in Aspire’s specific areas of expertise. Aspire System’s services include Digital Experience Solutions, Product Engineering, Enterprise Solutions, Independent Testing Services and IT Infrastructure & Application Support Services. The company currently has over 2750 employees, over 150 customers globally and is CMMI Level 3 certified. Aspire Systems is Temenos’ Regional Partner of the Year and a Bronze Partner for ServiceNow. The company has a growing presence in the Middle East, Asia-Pacific, US, UK, India, Europe and Latin America. For the ninth time in a row, Aspire has been selected as ‘Best Companies to Work For’ by the Great Place to Work® Institute. For more information, please visit www.aspiresys.com. Automation Anywhere is the leader in Robotic Process Automation (RPA), the platform on which more organizations build world-class Intelligent Digital Workforces. Automation Anywhere’s enterprise-grade platform uses software bots that work side by side with people to do much of the repetitive work in many industries. It combines sophisticated RPA, cognitive and embedded analytic technologies. Over 1,400 organizations use this AI-enabled solution to manage and scale business processes faster, with near-zero error rates, while dramatically reducing operational costs. Automation Anywhere provides automation technology to leading financial services, insurance, healthcare, technology, manufacturing, telecom and logistics companies globally. For more information, please visit www.automationanywhere.com. eBaoTech is a digital solution provider to the global insurance industry with a company mission to “make insurance easy”. We have business in more than 30 countries, serving over 200 carriers and numerous agents, brokers, InsurTech startups and others in the insurance ecosystem. eBaoTech offers two groups of solutions: eBao Cloud as an insurance middle ware platform, and eBao Software for traditional insurance carriers’ core systems. For more information, please visit www.ebaotech.com. Leading digital innovator, Avanade and robotic process automation (RPA) software pioneer, Blue Prism are collaborating to help enterprises transform the workplace and empower the digital workforce of the future. The powerful combination of Avanade's digital capabilities and Blue Prism’s RPA platform can help organizations build scalable robotic workforces that automate manual processes and workflows and allow employees to increase their focus on business critical activities. Companies also have the option to deploy on Microsoft Azure, enabling the highest level of continuity and scalability. Axway (Euronext: AXW.PA) is a catalyst for transformation. With Axway AMPLIFY™, our cloud-enabled data integration and engagement platform, digital leaders anticipate, adapt and scale to meet customer expectations. Our unified, API-first approach connects data from anywhere, expands collaboration, fuels millions of apps and delivers real-time analytics to build customer experience networks that unite not only employees, but also suppliers, partners and developers into an agile force for innovation that’s as fast and fluid as today’s experience economy. From idea to execution, we help make the future possible for more than 11,000 organizations in 100 countries. To learn more, visit www.axway.com/en. BlackBerry is an enterprise software and services company focused on securing and managing IoT endpoints. The company does this with BlackBerry Secure, an end-to-end Enterprise of Things platform, comprised of its enterprise communication and collaboration software, safety-certified embedded solutions and cybersecurity consultancy services. Based in Waterloo, Ontario, BlackBerry was founded in 1984 and operates in North America, Europe, Asia, Australia, Middle East, Latin America and Africa. The Company trades under the ticker symbol "BB" on the Toronto Stock Exchange and the New York Stock Exchange. For more information, please visit www.blackberry.com. erwin remains the most trusted name in data modeling while expanding its expertise to include solutions for data intelligence and governance. The erwin EDGE delivers an "enterprise data governance experience" that accelerates the transformation of enterprise data into accurate, actionable insights. As a role-based platform with integrated data preparation, enterprise modeling and data governance, IT and business stakeholders can collaborate in discovering, understanding and unlocking the value of data both at rest and in motion. The result is an accurate, high-quality and real-time data pipeline that fuels regulatory compliance, innovation and transformation. NICE is the worldwide leading provider of both cloud and on-premises enterprise software solutions that empower organizations to make smarter decisions based on advanced analytics of structured and unstructured data. NICE helps organizations of all sizes deliver better customer service, ensure compliance, combat fraud and safeguard citizens. Over 25,000 organizations in more than 150 countries, including over 85 of the Fortune 100 companies, are using NICE solutions. For more information, please visit www.nice.com. Quadient helps companies deliver meaningful interactions with current and future customers. A Neopost Digital Company, the Quadient portfolio of technology enables organizations to create better experiences for their customers through timely, optimized, contextual, highly individualized, and accurate communications for all channels. Our solutions bring together and activate the entire organization in the name of customer experience, through better collaboration and visibility into the customer journey. For more information, please visit www.quadient.com. 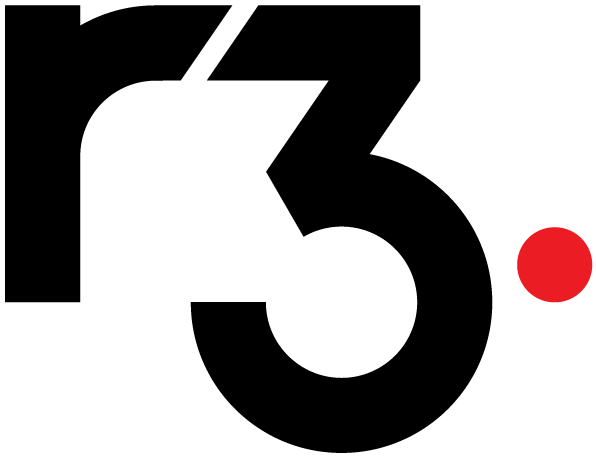 R3 is an enterprise blockchain software firm working with a broad ecosystem of more than 200 members and partners across multiple industries from both the private and public sectors to develop on Corda, our open-source blockchain platform, and Corda Enterprise, a commercial version for enterprise usage. Our Corda platform is already being used in industries from financial services to healthcare, shipping, insurance and more. It records, manages, executes institutions’ financial agreements in perfect synchrony with their peers, creating a world of frictionless commerce. For more information, please visit www.r3.com. Tagit is an award-winning digital solutions company. Tagit’s digital banking engagement platform Mobeix™ enables banks to rapidly build and deploy secure, scalable and innovative omnichannel banking solutions. Our customers include leading banks in countries across Asia, Middle East, and North America. Mobeix, our omnichannel digital engagement platform, is built on a multi-layered architecture delivering a comprehensive suite of digital banking capabilities. It seamlessly and securely integrates with the client’s IT systems and provides their business services across multiple channels – mobile, web, wearables, voice and other consumer digital touchpoints. Tagit and its clients have won multiple industry awards for delivering best in class customer experience and innovations. For more information, please visit www.tagit.com. PureSoftware is a software product and services company focused on driving positive customer experience and business acceleration through the fusion of AI-based digital technologies and robotic process automation. Arttha, PureSoftware’s award-winning fintech platform is leveraged by more than 200 banks and financial institutions across Asia, Middle-East and Africa. Arttha is a pioneer in providing Banking-as-a-Service in Asia offering services including Branchless Banking, Core Banking, E-wallets, Digital Payments & Remittances, Agency Banking and Cryptocurrency. For more information, please visit www.puresoftware.com. 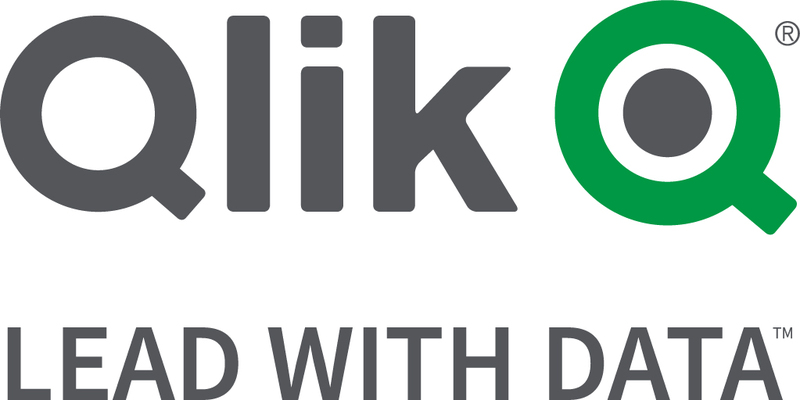 Qlik® is the leading data analytics platform and the pioneer of user-driven business intelligence. Its portfolio of cloud-based and on-premise solutions meets customers’ growing needs from reporting and self-service visual analysis to guided, embedded and custom analytics, regardless of where data is located. Customers using Qlik Sense®, QlikView® and Qlik® Cloud, gain meaning out of information from multiple sources, exploring the hidden relationships within data that lead to insights that ignite good ideas. Headquartered in Radnor, Pennsylvania, Qlik does business in more than 100 countries with over 48,000 customers globally. For more information, please visit www.qlik.com. Tableau is the enterprise analytics platform that enables your organization to explore trusted data in a secure and scalable environment. Give people access to intuitive visual analytics, interactive dashboards, and limitless ad-hoc analyses that reveal hidden opportunities and eureka moments. Get the security, governance, and management you require to confidently integrate Tableau into your business—on-premises or in the cloud—and deliver the power of true self-service analytics at scale. From global enterprises to early-stage startups and small businesses, more than 82,000 customer accounts around the world use Tableau to turn data into actionable insights. Contact Oak Consulting, Tableau Gold Partner, at Tel: 6744 4792 or visit www.oakconsulting.com.sg to learn more. International Data Corporation (IDC) is the premier global provider of market intelligence, advisory services, and events for the information technology, telecommunications, and consumer technology markets. IDC helps IT professionals, business executives, and the investment community make fact-based decisions on technology purchases and business strategy. More than 1,000 IDC analysts provide global, regional, and local expertise on technology and industry opportunities and trends in over 110 countries. 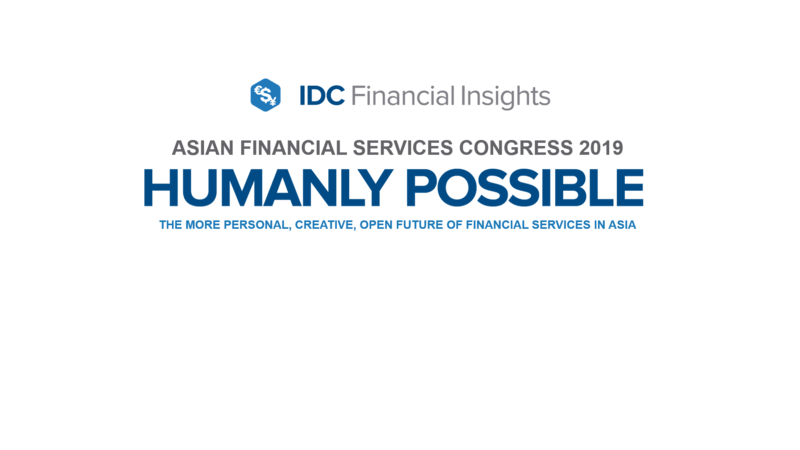 For more than 49 years, IDC has provided strategic insights to help our clients achieve their key business objectives. IDC is a subsidiary of IDG, the world's leading technology media, research, and events company. You can learn more about IDC by visiting www.idc.com.